In today’s fast-paced global economy, with emerging threats coupled with ever more regulations, organizations are finding that better management of Governance, Risk & Compliance (GRC) information is leading to better-run businesses. Because there is substantial overlap across multiple areas of GRC, a coordinated approach can help an organization maximize results while reducing overall costs. To help its customers institute this coordinated approach, Cura Software developed a powerful and flexible GRC platform that serves as the foundation for a strong governance, risk and compliance management program. A combination of workflow, surveys, forms, reporting and a whole lot more, the Cura GRC Platform is the underlying technology behind all of Cura’s leading Governance, Risk and Compliance management software applications. Because Cura’s applications are built on a single platform, they can easily be integrated together to create an enterprise-wide GRC system. 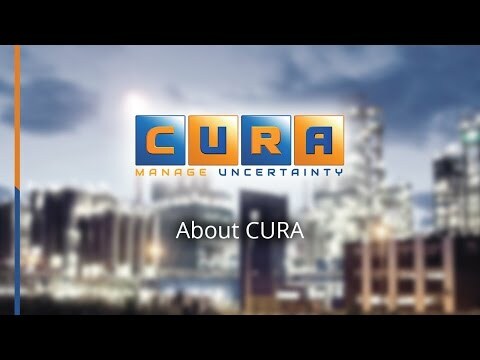 Manage risk and compliance programs within one flexible, configurable solution: The Cura GRC Platform is completely configurable to support every organization’s unique risk and compliance requirements. It provides the ability to configure custom workflows, calculations, multiple methodologies, a limitless hierarchy, and executive dashboards/reports that match how an organization wants to manage its GRC initiatives. Unite silos of Governance, Risk and Compliance information into a single coordinated system: The Cura GRC Platform enables organizations to improve insight and oversight of the issues and exposures of the business at a strategic level. All GRC information is represented in a common, normalized scaling, rating and scoring mechanism. Actions, trends and treatment strategies that affect or ‘creep’ across multiple business disciplines and areas can be identified and treated. Gain better insight into the state of business operations: While providing a high level of clarity through convergence, the Cura GRC Platform enables each department to track GRC information in their own unique workflows, data parameters, calculations, metrics and libraries. This allows employees and managers to retain responsibility and independence in their business areas, while preserving the bigger picture for executives. Create a single system for all GRC information: The Cura GRC Platform captures 100 percent of an organization’s key GRC data. Cura’s dynamic data model easily allows for the addition of data elements an organization needs to capture (processes, risks, controls, tests, incidents, KPIs, etc. ), inclusive of associated properties. System administrators change and configure these models without technical expertise by using simple drag and drop functionality. Improve GRC efficiency while enforcing corporate policies: Simple-to-use notification-driven web interfaces make Cura applications extremely easy to learn and use. Cura solutions streamline the identification, assessment, review and treatment processes. At Cura, we believe that customers have little time to learn and navigate complex interfaces. As a result, we have simplified user interfaces to allow easier collection and management of data, all driven through powerful e-mail notification and escalation features. Enhance decision-making through superior reporting and analysis: Cura’s best-in-class reporting system allows your business users to easily analyze the information captured. Cura applications are delivered with standard report templates for the most common reporting scenarios. Additionally, customers can quickly modify or create new reports and dashboards to support the decisions that improve productivity and performance. The Cura GRC Platform can integrate with third-party reporting and dashboarding tools as required. Facilitate integration with other enterprise systems: The Cura GRC Platform is built on a web services based architecture. It also includes adapters for LDAP, Windows Authentication and other enterprise applications to make authentication management simple.